Without Captain Francis Light there would be no George Town. But his legacy is much more than just one city. 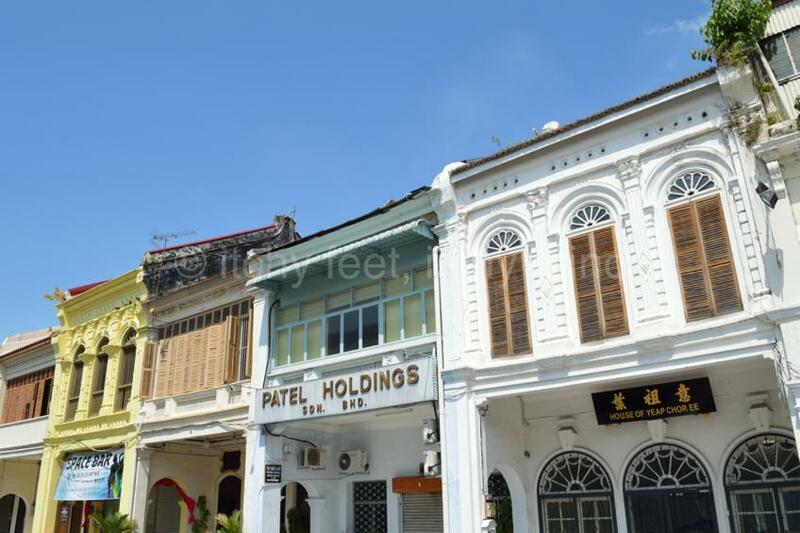 When Light took possession of Penang in 1786, on behalf of the East India Company (EIC), he set in train a process of colonisation which resulted in all of present-day Malaysia, as well as Singapore and Brunei, coming under British rule. Part of the problem in assessing Light’s legacy is that so much of his life is a grey area, often closer to fiction than fact. 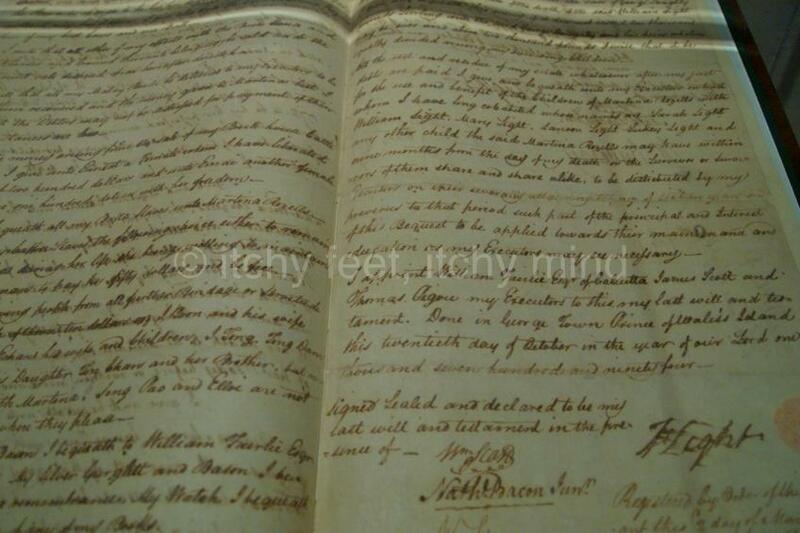 We know that he was born in the English county of Suffolk in 1740, and that his mother was called Mary Light. Who his father was in an enduring mystery, although the most likely candidate is a nobleman called William Regus. Being illegitimate does not appear to have set Light back a great deal, at least not in terms of having a proper education, and then becoming a midshipman, the lowest ranking officer in the Royal Navy. But it does perhaps explain why he headed to far-off lands to seek his fortune, and why he had a tendency to flout convention. At the time, the EIC had a monopoly of Britain’s trade in the East, as well as controlling large amounts of territory in India. Despite its monopoly, the EIC did allow approved “country traders” to operate in its waters. 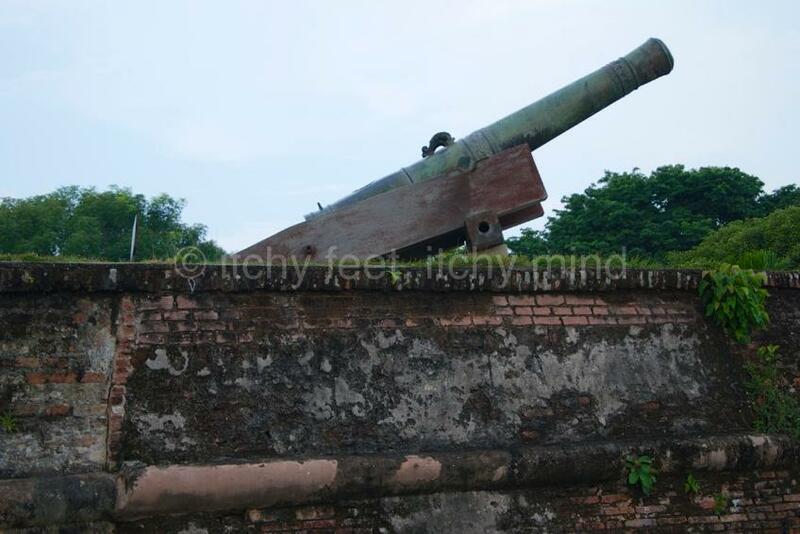 From roughly 1765 onwards, Light was one such merchant, operating principally out of Phuket, known then as Junk Ceylon. It was these trading activities which convinced him of Penang’s possible worth to the EIC, as a safe harbour between India and China. Through charm and a certain economy with the truth, he was able to persuade the Sultan of Kedah to cede Penang, in return for British protection from Siamese and Burmese ambitions and a yearly payment. The above engraving records the official ceremony to christen the new settlement Prince of Wales island, in honour of the heir to the British throne. 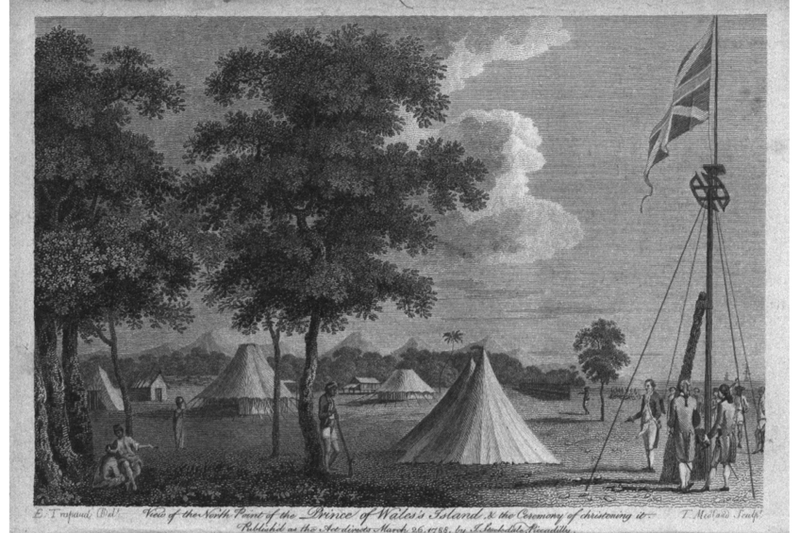 Published as part of a pamphlet in 1788, it could well be the only surviving image of Francis Light (the fifth man from the right). By the time the Sultan worked out that no protection would be forthcoming, he set about trying to take Penang back by force. These efforts ended with a humiliating military defeat in 1791, and a peace treaty which ceded the disputed island to the British, in return for 6,000 silver dollars a year. 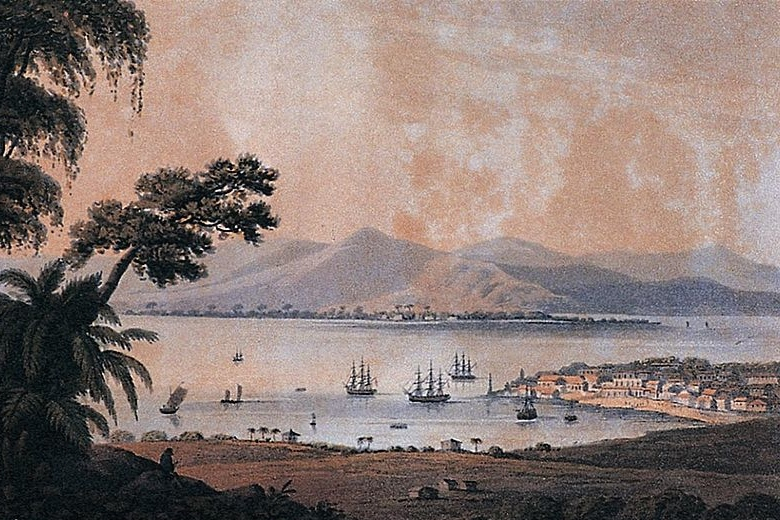 Although a small number of people lived in Penang before 1786, the population increased massively over the next few years. Light encouraged settlers from all races and religions to come to the island. Chinese, Indians, Eurasians, Malays, Siamese, to name just a few, flocked to the new settlement. 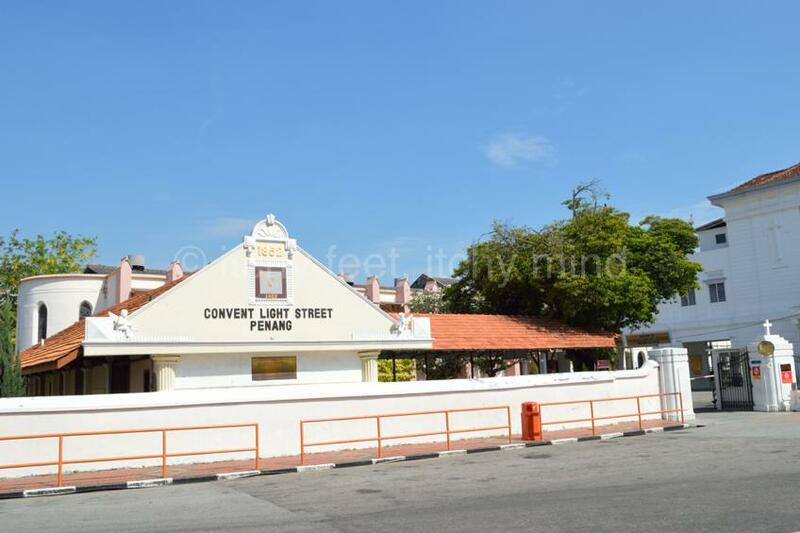 By the time Francis Light died in 1794, George Town was a thriving, multi-cultural place. 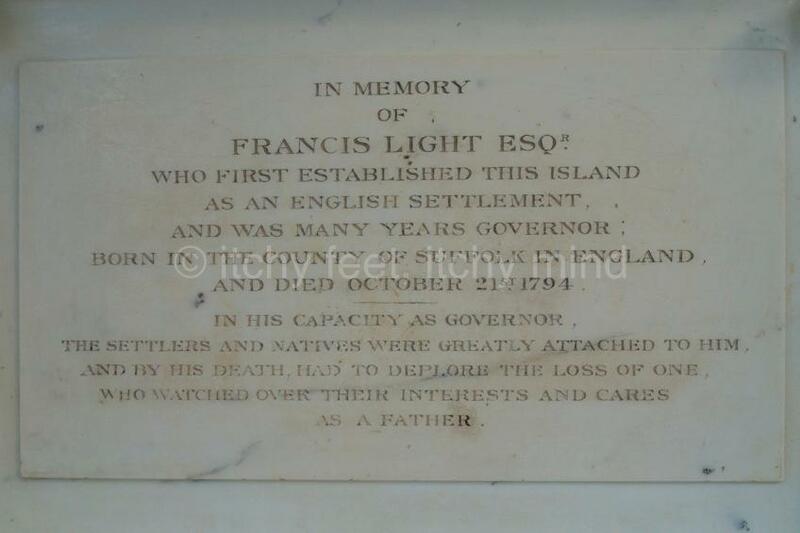 This tribute is a rather longer and more fulsome than the words on his tombstone, in George Town’s Protestant Cemetery, which refer to him establishing ‘this island as a British settlement.’ No mention of him being in charge of Prince of Wales island for the eight years up until his death, or indeed of his loving family and friends. Light’s will, which can be seen at the Penang State Museum, left the bulk of his considerable estate to his long-time companion, Martina Rozells, and their five children. This included the spice plantation he named Suffolk, after his home county in England, and the garden house he built on it. It’s not known whether elements of this structure were incorporated into the subsequent Anglo-Indian mansion at the site – the sympathetically restored Suffolk House. 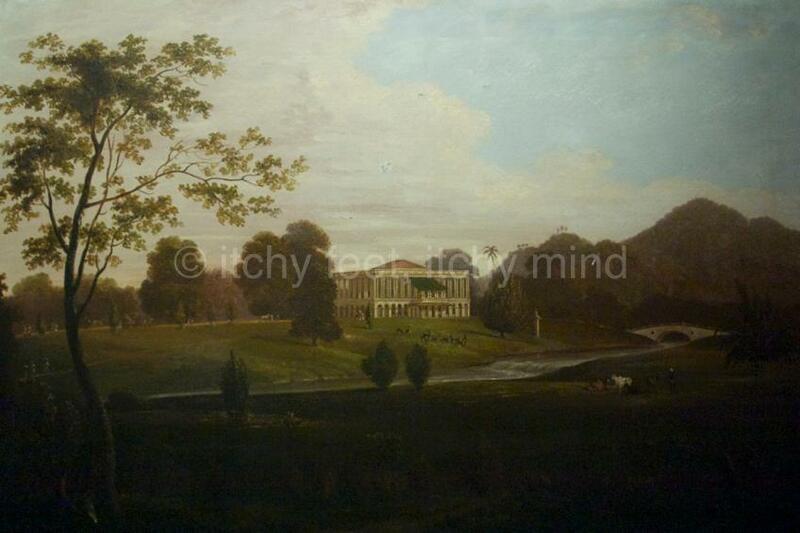 As well as visiting the mansion itself (see Suffolk House: the first and last of Penang’s ‘great houses’), there are several contemporary paintings of Suffolk House in Penang State Museum, which hint at how the landscape looked in Light’s time. It’s believed Martina Rozells was a Eurasian, probably of mixed Siamese and Portuguese extraction. The couple lived together as man and wife, in a bungalow in what is now part of the grounds of Convent Light Street school, but he was not allowed to marry her, at least publicly, as she was a Catholic. 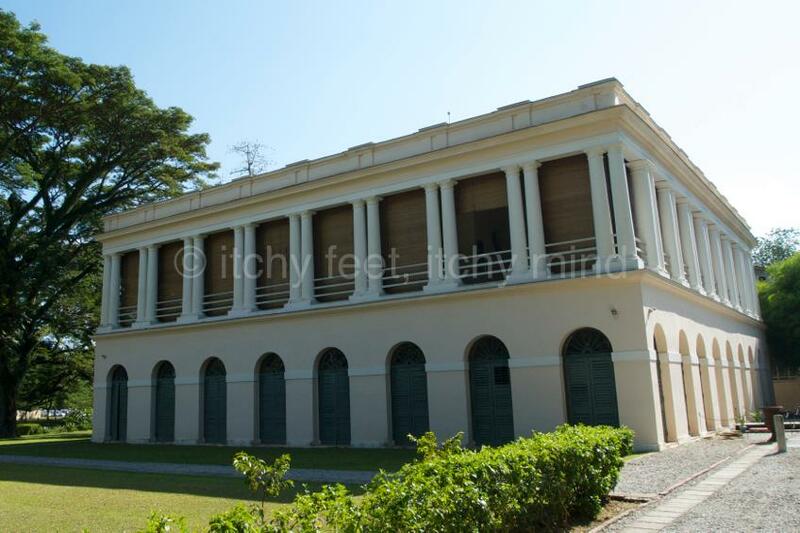 This bungalow was bought by Light’s friend and business partner James Scott in 1794, who leased it to the EIC in 1803. It went on to serve as Government House for several decades, before the site was sold to a group of Catholic nuns in 1852. The building can only be visited with prior permission, out of school hours. Adding open cohabitation with a mixed-raced Catholic, to being a self-made man, who was also illegitimate, it’s no wonder that some considered him to be less than respectable. Fluency in Malay and Siamese opened up accusations of ‘going native’. But these critical views were by no means universal. Light’s charm, loyalty and generosity, not to mention his accomplishments as Penang’s first Superintendent, won him many friends too. 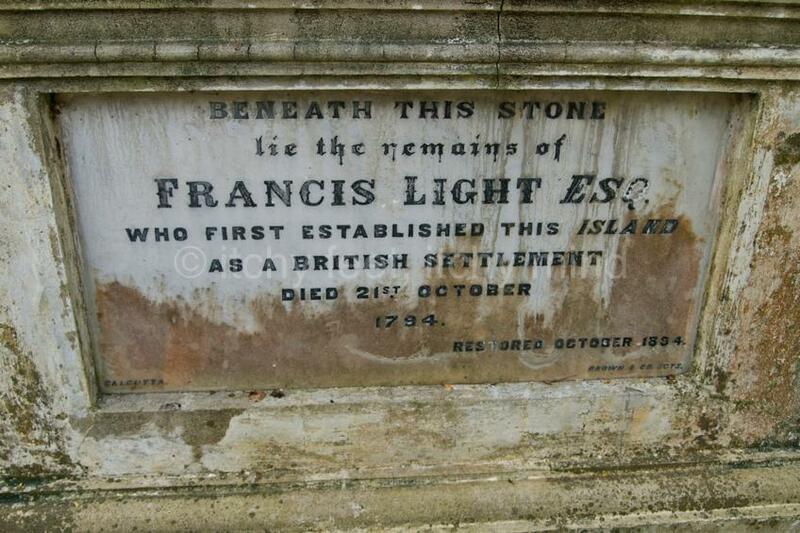 In many ways, the statue which stands today in Fort Cornwallis, sums up the enigma that is Francis Light. 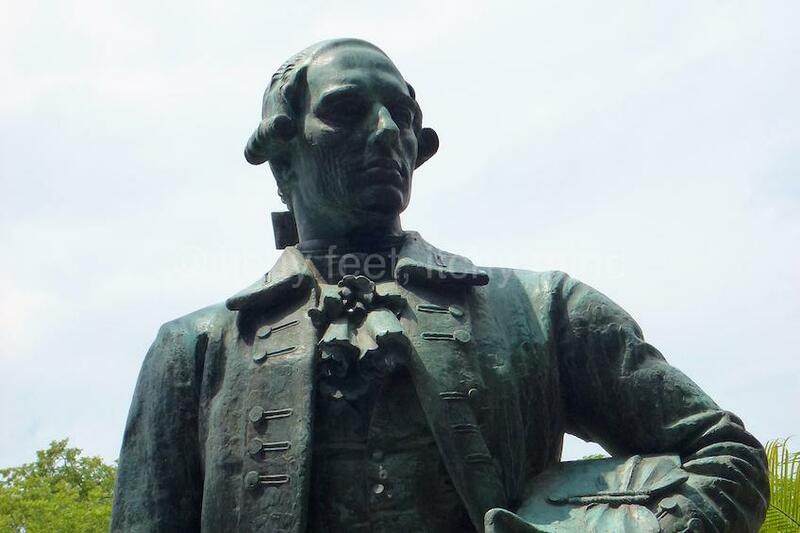 It is modelled on his eldest son, Colonel William Light, the founder of Adelaide in South Australia, because the sculptor could find no images of his subject. 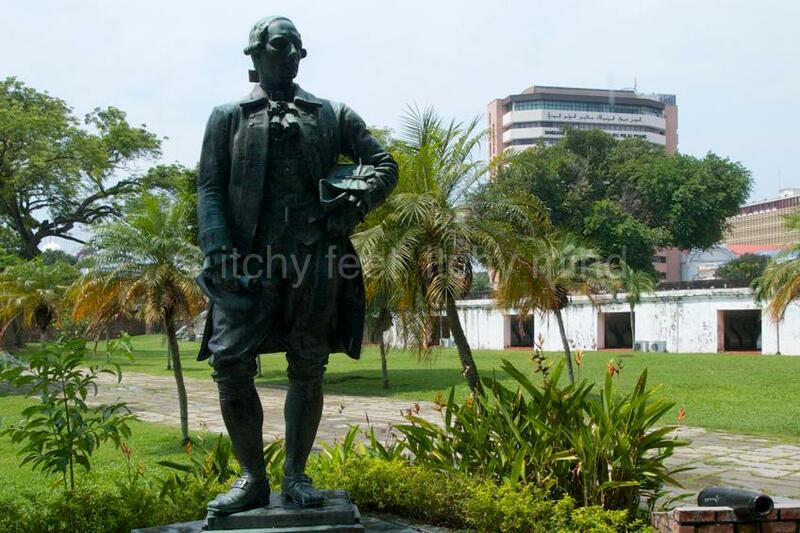 Since being erected in Fort Cornwallis in 1938, the statue has been moved to the High Court, then the Penang State Museum, before coming back full circle. Along the way, his sword has gone missing, long blamed on the Japanese, until this accusation was seemingly disproved by photographic evidence. Regardless of who stole the sword, it seems appropriate that a man who achieved so much by persuasion, rather than force of arms, should be shown without a weapon. But the most fitting memorial to Light of all, is George Town itself, the vibrant, multi-cultural, city which he founded back in 1786.